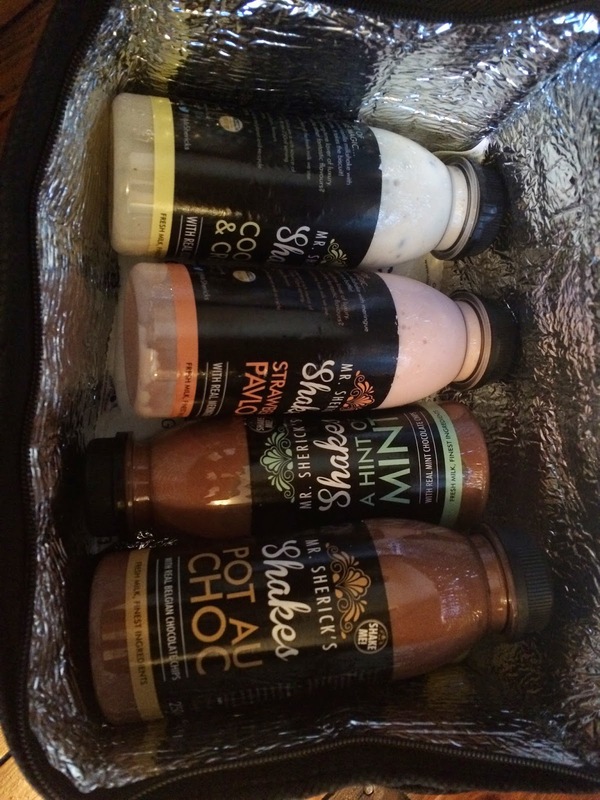 When I was approached by Mr Sherick's Shakes and educated about delicious range - milkshakes made up of British milk and ethically sourced ingredients; I couldn't wait to get stuck in! Made with fresh milks and the finest ingredients - something they boldly promote - I was keen to see whether or not they lived up to their reputation. 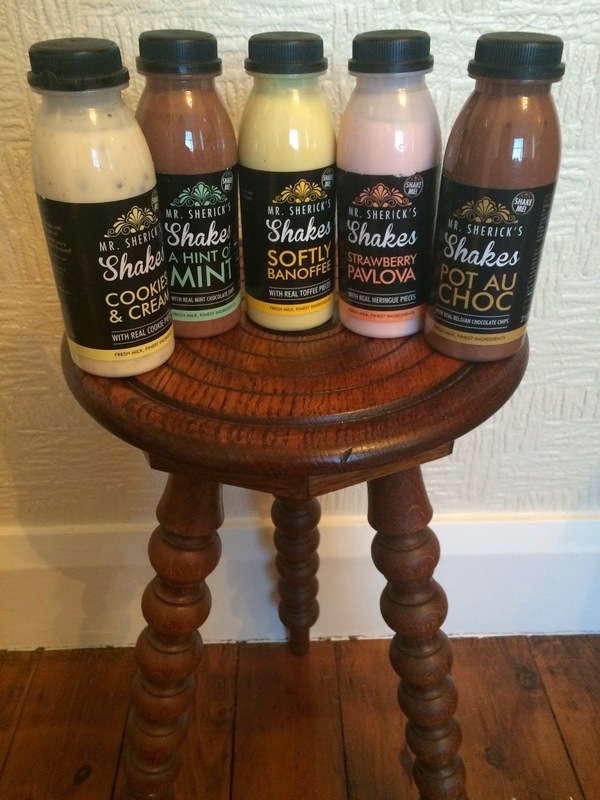 Thought up by Andrew Sherick, former M&S Food Buyer and Chairman of British Sandwich Association, his sweet tooth and dedication to developing and tasting recipes to find a milkshake he felt passionate about really shines through with these beauties. He wanted something that really felt unique; by including real chocolate, cookies and British dairy, I really think he's hit the nail on the head with this - which is obviously how Selfridges, Harrods and Waitrose felt when they started stocking Mr Sherick's Shakes in their fridges! These shakes aren't just appreciated by your favourite food halls, they're also recognised by the likes of The Grocer, awarding the Pot Au Choc with the best new product of 2014. Delivered in the brilliant little coolbag in the photo above - yes, it may be just a coolbag BUT it meant they stayed cool whilst being delivered to me and left them tasting fresh upon arrival! The coolbag also fits my NutriBullet in it so I'm pleased as punch it's now easily transportable! Offering 5 different flavours - Cookies & Cream, A Hint of Mint, Softly Banoffee, Strawberry Pavlova and Pot Au Choc - I had already predicted my favourite waaaay before that plastic seal had been broken! We started with Pot Au Choc - a thick shake with Belgian chocolate chips in. It tasted like a thick, creamy hot chocolate (but, erm, cold...obviously) and tasted really authentic in chocolatey flavour. Often with milkshakes you find the chocolate flavour to be really synthetic - but not Mr Sherick's. So far, so good - their promotion of 'Finest Ingredients' was proving correct! Next we decided to try the Strawberry Pavlova - with added meringue pieces for that little bit of texture. The strawberry flavour (real strawberry, might I add!) tasted fresh and sweet - but not so overly sweet it tasted sickly. It had the perfect amount of sweet in. At the time I wasn't convinced about the meringue pieces but, on reflection, they really did add some texture to the shake. Softly Banoffee was an absolute dream. Thick and fruity with an added sweetness, you guessed it, from that delicious toffee. This was a close runner up to my favourite and one I would definitely buy if I was in the supermarket! We moved onto A Hint of Mint. Now, I'll admit, I am not the biggest fan of mint flavoured...well, anything really. But, the 'hint' really was as subtle as the name suggests and, as it wasn't overpowering, I actually found this a lot more refreshing than the Pot Au Choc. *Drum roll please* for Cookies & Cream - my absolute favourite of the bunch. With real cookie pieces broken up into the shake, this milkshake quite frankly blew my mind. If you do one thing this week, go and grab yourself one of these. I can guarantee you won't be disappointed. And yes, this was my original prediction! Cannot beat anything involving cookies! 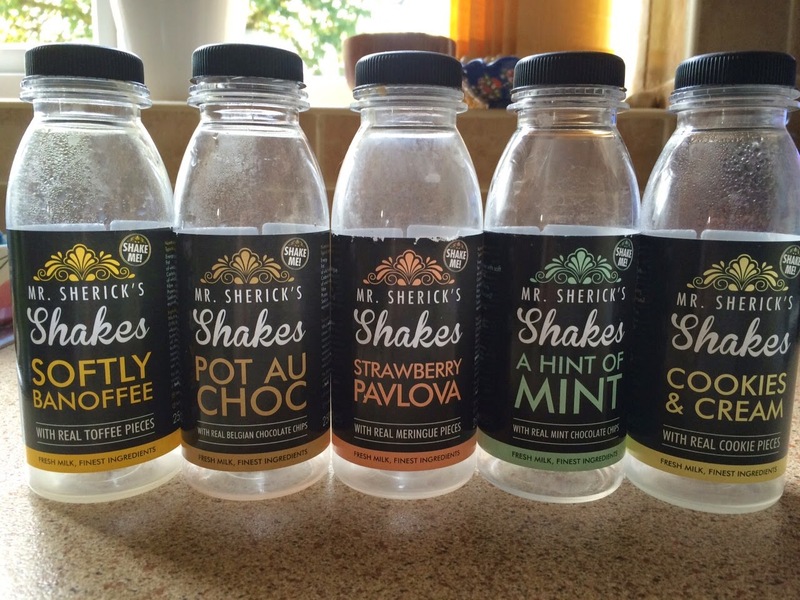 If you're a big fan of milkshakes, or even if you're not yet, Mr Sherick's Shakes have a flavour for everyone!